In a recent interview with Kelly Anne Beile, of Whole Foods Market, I learned that the Marketing Team Leaders at each of the grocery stores might start using Spredfast to help them manage their online relationships with customers. In fact, according to Cotton Delo of AdAge (@cottondelo), with the help of Spredfast, even the departments within each local store could directly engage with customers on social media networks (2013, para. 5). Although Spredfast is only a four-year-old startup, it has not only attracted Whole Foods Market, but AARP, AT&T, and The Clorox Company, just to name a few. Traditional CRM giants, Salesforce, SAP, Oracle, etc., might fall prey to smaller, nimbler platforms that are not trying to merely integrate social media into their offering, but were born out of it. Likewise, another relatively new entrant, Nimble, has been making waves in the social CRM (customer relationship management) industry and was predicted by the likes of CNN and Fortune as having “all the DNA of a disruptive company” (Vaamonde, 2013). Consequently, business analysts have been recently buzzing about how the traditional CRM giants, Salesforce, SAP, Oracle, etc., might fall prey to smaller, nimbler (pun intended) platforms that are not trying to merely integrate social media into their offering, but were born out of it. But, how can any of these social CRM companies, regardless of their size or age, help Kelly Anne Beile, who has been effectively managing and growing her store’s social media presence over the past three years? Below, I will propose three potential gaps or pitfalls that can be mitigated by employing a social CRM technology. As professional marketers are well aware, one of the first rules in marketing is to identify segments within your target market, so that specific campaigns can be designed to attract the established segments. Although it is clear that Beile has a good handle on who is included in her target market (Seacat, 2013), a social CRM tool would help her organize and schedule her social campaigns and corresponding content in a way that caters to each segment within her target market. For example, with such a platform, Beile could begin to monitor and compare what content caused the most desirable members of her audience to engage with her. And, on the other hand, she could learn what content attracted a less profitable customer. The social CRM technology would monitor her tweets over a period of time and tell her when she had the highest average engagement per message. I was shocked to learn that Beile was the sole contributor to an impressive Twitter feed, @WholeFoodsLEX. Beile takes this fact in stride and is effectively engaging with nearly three thousand followers during almost every day of the week in a very natural way. In fact, while she occasionally schedules tweets, it is clear that her tweets are not corporately generated, nor do they spill out of a rigid computerized schedule. Moreover, Beile takes pride in responding to questions and mentions within minutes (Seacat, 2013). Her dedication is impressive, but this break-neck pace would surely develop into a marketing pitfall if she amassed a few more thousand followers. Therefore, a social CRM tool like Spredfast would be an appropriate solution. Spredfast would enable Beile to continue to manually tweet in a natural way if she prefers; but, the technology would monitor her tweets over a period of time and tell her when she had the highest average engagement per message. Therefore, Beile could still respond to questions and mentions instantaneously, but her tweets that link to editorial content could be saved for hours of the day that historically garnered the most engagement. A social CRM platform could provide this justification, because it would monitor social activity and produce graphic charts that show Whole Foods Market’s engagement rate by channel. In Groundswell, Li and Bernoff (2011), spent a good portion of the book showing that a common marketing pitfall in social CRM is developing a plan for each specific technology, i.e. Facebook, Twitter, Pinterest, etc., rather than first determining which technology was most used by a target market (p. 41). For instance, while Beile has had success with @WholeFoodsLEX, she was unsure if a Google+ account would make sense for her store (Seacat, 2013). Nevertheless, according to the recent report by Global Index, Google+ is the second most globally used social media network (Kosner, 2013). Moreover, Google+ can be specifically effective for businesses working to attract a local following (Brogan, C. p. 20). These facts are certainly good cause to develop a presence for the Whole Foods Market in Lexington on Google+, but are not justification for spending more time on Google+ than other networks. A social CRM platform could provide this justification, because it would monitor social activity and produce graphic charts that show Whole Foods Market’s engagement rate by channel. Social CRM platforms, such as Spredfast and Nimble, can mitigate marketing pitfalls, because they empower marketers with tools, tactics, and impressive charts, which can efficiently categorize audiences, highlight peak engagement hours, and rank social media channels. However, these platforms are only as effective as the humans who drive them. Erin Blakemore, CEO of voco creative (@vococreative), insists that “we don’t really see our efforts as formal as CRM. Our customers are really at the heart of the brand and we see our relationships with them as things to be celebrated, cultivated and continued rather than ‘managed’” (A. Seacat, personal email communication, July 29, 2013). Therefore, as critical as social CRM has become in mitigating marketing pitfalls, thankfully, there are thoughtful professionals, like Blakemore and Beile, who understand that the relationships will always supersede the technologies. Bernoff, J. & Li, C. (2011). 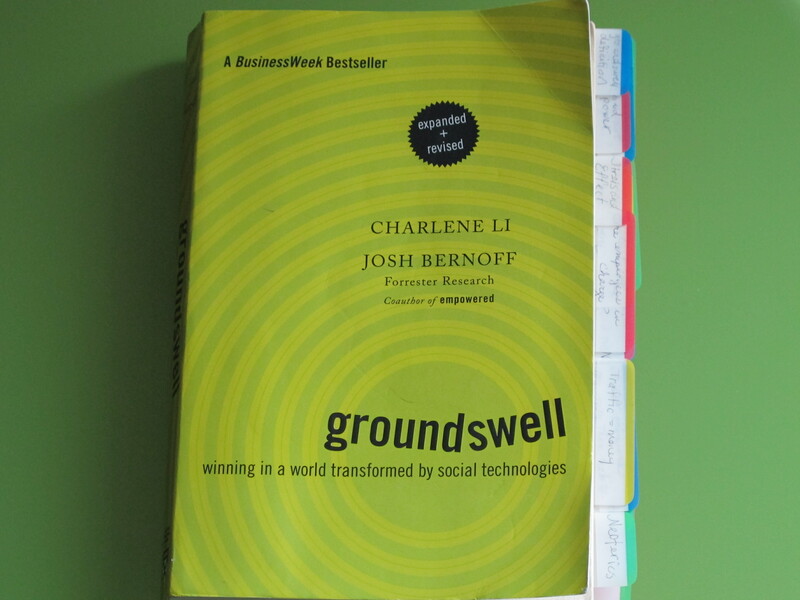 Groundswell: Winning in a World Transformed by Social Technologies. Boston, MA: Harvard Business Review. Brogan, C. (2013). Google+ for Business: How Google’s Social Network Changes Everything. (2nd ed.). Indianapolis, IN: Que Publishing.